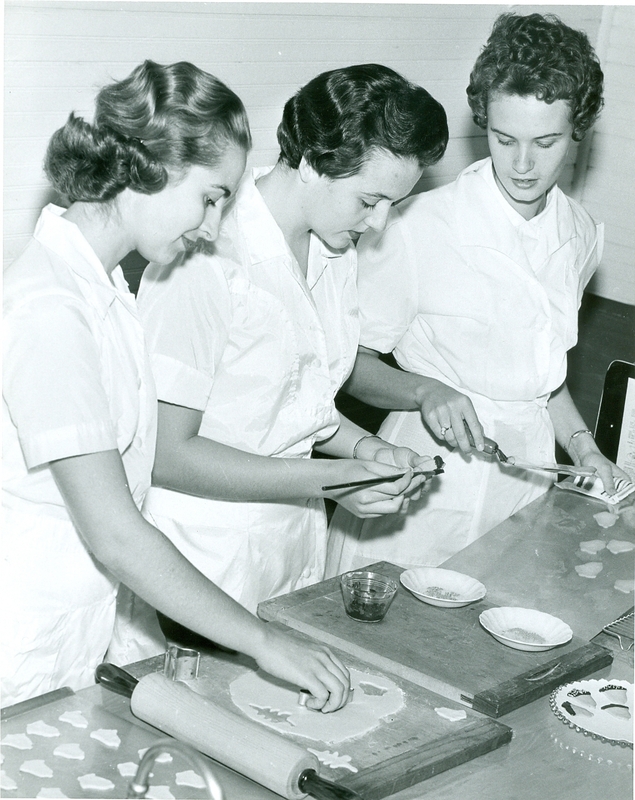 During the 1950’s, the home economics major was quite popular. These unidentified students were likely to be in a Food and Cookery class that require one hour of lecture and five hours of laboratory. Calling all alumane classes ending in 2s & 7s!